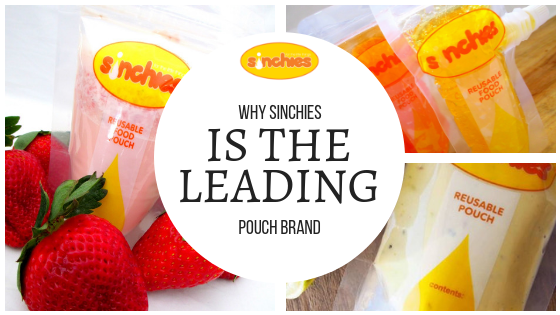 Are you curious to know why Sinchies is the leading pouch brand? I’m sure you’ll agree that Sinchies have many plus points. Sinchies pouches were the first pouch brand to hit the market back in 2012 after two years of development by the founder, Sam. One of the foremost aspects of pouch design on Sam’s mind was that of cleanliness. Any pouch brand runs the risk of trapping food in the folds and gusset of each pouch. This trapped food can provide the perfect place for bacteria to flourish. Therefore with this in mind, Sam decided to develop transparent pouches, so that moms can be certain that every trace of left-over food has been removed before re-use. Sinchies are freezer safe, allowing you to prepare and freeze several pouches of food when you have time, for use when you do not. They are also dishwasher safe, making cleaning them a little easier. Previous post: Do Expiry Dates Matter? Sinchies are distributed in South Africa by Reusable Food Pouch. Read more in our About page.